A real heart touching hoodie of a Panda mum and her cub riding through space on a slice of pepperoni pizza. 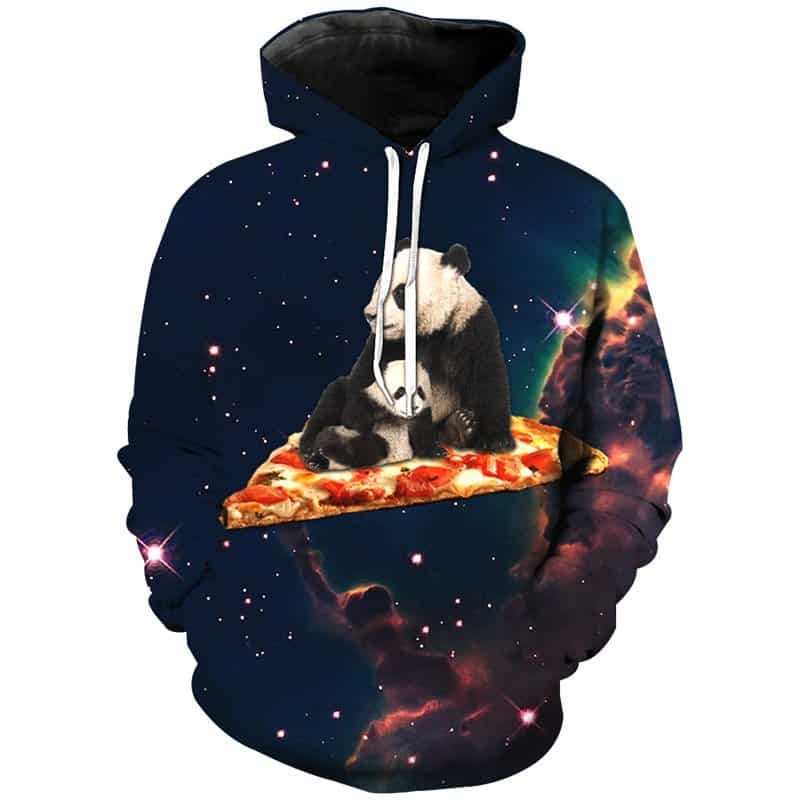 This Space Panda Pizza Hoodie is slightly quirky, but we love it. Completely random, but majestical. The hoodie is comfortable to wear, looks fashionable and is wearable anywhere. It was designed for both male and female. The delivery took over one month. The tracking was very vague.